15% OFF REPAIRS* FOR ALL ACTIVE DUTY MILITARY, POLICE, FIREFIGHTERS, AND EMS PERSONNEL!! Anytime Appliance Repair - Providing In-Home Appliance Repair for ALL MAKES AND MODELS of Major Appliances in Colorado Springs, CO. We Strive to Bring You the Most Pleasant Experience Possible, at Affordable Prices! We Serve El Paso County Seven Days a Week - Even Holidays. We Can Provide Same Day Service, and We Will Schedule Around You! 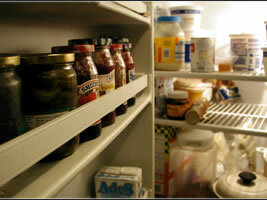 Your appliances troubles don't have to be another headache! Call the company you can trust to get the job done right. We repair all major appliances: Refrigerators, Freezers, Washers, Dryers, Ovens, Ranges, Stoves, Ice Makers, Microwave Ovens, Dishwashers, Garbage Disposals, and Trash Compactors.